Pros and Cons: IDC's Roger Kay complains to the San Francisco Chronicle that Apple's making users upgrade OS X too often. Worthwhile reading just to bring back warm memories of Apple talking about OS upgrades being "like getting a whole new Mac" -- haven't heard that expression in a while. Macworld's Jason Snell defends the OS in the same article. David Pogue in the New York Times has a great overview of why you should consider upgrading, and makes an eloquent argument for why we're better off than Windows users. Preparing to Upgrade: Be a wise upgrader: prepare. 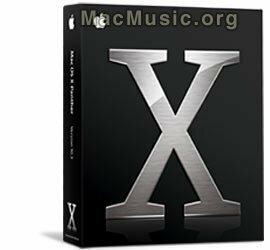 Of course, check MacMusic.org for all the latest on Panther compatibility for apps and drivers, and stay tuned through the coming days. You'll also want to do a full backup of your system before you install, and disable login items so that you can test apps for compatibility. Old versions of Default Folder can cause Panther systems to crash on startup, for instance, and other apps might have similar problems. (In the case of Default Folder, St. Clair's new release fixes the problem and offers new features.) Lastly, Joe Kissell and TidBITS have released a US$5 downloadable 51-page PDF guide to the upgrade process and troublehooting with an enormous amount of information, available at 20:00 GMT-0400 tonight, 10/24, definitely a must-download. Buying it: Make it a Soirée: In the US, you can take advantage of Apple's Night of the Panther event, or parties at New York's Tekserve and in Minnesota's Twin Cities. And lastly, be sure to let us know how it goes here. Click feedback to suggest your own favorite Panther links for the Night of the Panther!